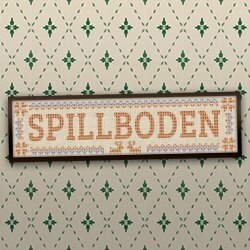 This is the first “freemium” release from developers Full Fat, best known for their Flick sports series. And in many ways this review could consist of a simple statement – Temple Run meets Austin Powers. But that is not the sort of in-depth review regular readers would expect of Console Obsession, so the mission – should you choose to accept it – is to read on. Starting the game for the first time gives a tutorial introducing the controls, swiping the screen with an adjustable level of sensitivity. 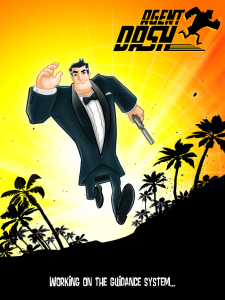 Agent Dash in his very suave tuxedo can move left or right between the three notional lanes of the screen, jump over obstacles or slide under barriers. For added flexibility, the jump and slide can be modified to move left or right. The first level proper sees our square-jawed hero, running constantly into the screen, plunged into a jungle full of toxic barrels and narrow bridges. On the floor and floating in the air are gems, the game’s currency. Score increases the further you run, with regular turns and branches requiring the player to choose the right lane. As the camera swoops smoothly around the corner the next path comes into view. Crossing the metal bridge leads into the first base, populated by laser defences and closing barriers. At the end of the base, tapping the screen fires the pistols to destroy the evil organisation’s machinery. From here the path only gets quicker and trickier. Fortunately Agent Dash has some gadgets up his well-tailored sleeve. Gadget HQ has four options. Super jewels appear on the path, and upgrading them here increases the value of each super jewel. 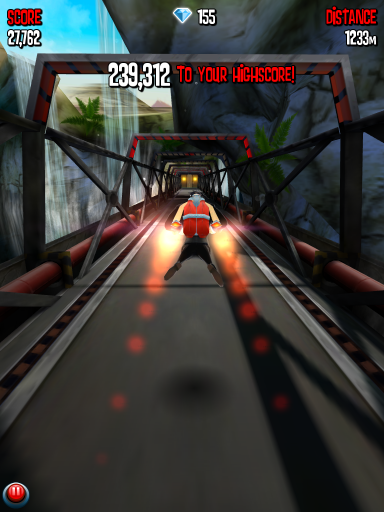 The Jetpack gives a short-lived boost, navigating the agent past hazards and collecting the gems ahead. Upgrading makes the fuel tank bigger. The Magnet draws in nearby gems and at higher strength increases their value. Finally the High Gems in red and blue are worth x2 and x3 respectively. Buying this option makes them appear earlier along the path. 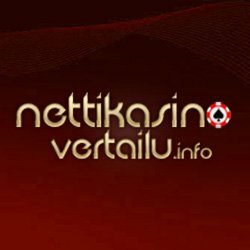 As each level of upgrade is bought, the price goes up. There are one-shot goodies to be purchased as well at the cost of more gems. The Air Drop parachute lets you take a short-cut and land at the first Base, and Back-up calls in another agent to keep running from the point of death (once). Slow Motion can be activated Matrix-style to help through a difficult section, but takes a short while to recharge before being available again. Gem Rush awards red and blue gems from the start. You can also save up to recruit new characters into your spy ring, giving a choice of agent (and two extra weapons, purely cosmetic) to run with. Being freemium, the in app purchase of gems is designed as a shortcut for the player and a revenue stream for the developers. Here, as in Temple Run, it feels very much like an option rather than a requirement. The pricing does feel slightly heavy, making each character worth more than a pound to unlock. What does work well is the integration of Facebook to give a weekly challenge – complete with stopwatch counting down the seven days – and in-game prompts to show your nearest challenger’s score. The lack of Game Center achievements comes as a surprise but is something that could be fixed in a future update. Using someone else’s blueprint for what makes a great game and putting a different spin on it is nothing new in the gaming world. To stand out in the various app stores, a game needs to be polished and capable of drawing the player in. 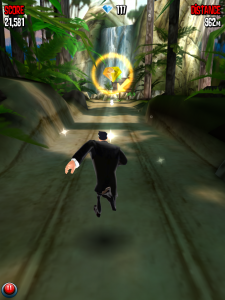 The spy ambience and refinement of Temple Run’s ideas give this plenty of playability. With a few minor changes this will be a classic and well worth setting your sights on.